The Brandenburg Wilderness Foundation took the opportunity to establish wilderness zones on the sites of four abandoned former military training grounds. Founded in Potsdam by private and public partners in 2000, it now owns and takes care of over 12,800 hectares that are unique in Germany for their size, lack of roads and wilderness development. The huge area “Jüterbog” stayed coherent and not dissected by roads, settlements or other uses because it has been under military use from the 19th century to 1994. It is now a nature reserve and part of the nature park “Nuthe-Nieplitz”. More than 75% percent are already free of all kinds of intervention. “Heidehof” is only a few kilometres east of the area “Jüterbog” and part of an even bigger former military training ground with a total area of 12.000 hectares. A part is temporarily used as a wind farm but 1,400 hectares are already free of interventions. “Heidehof” is a feeding ground for the neighboring Wolf population ! 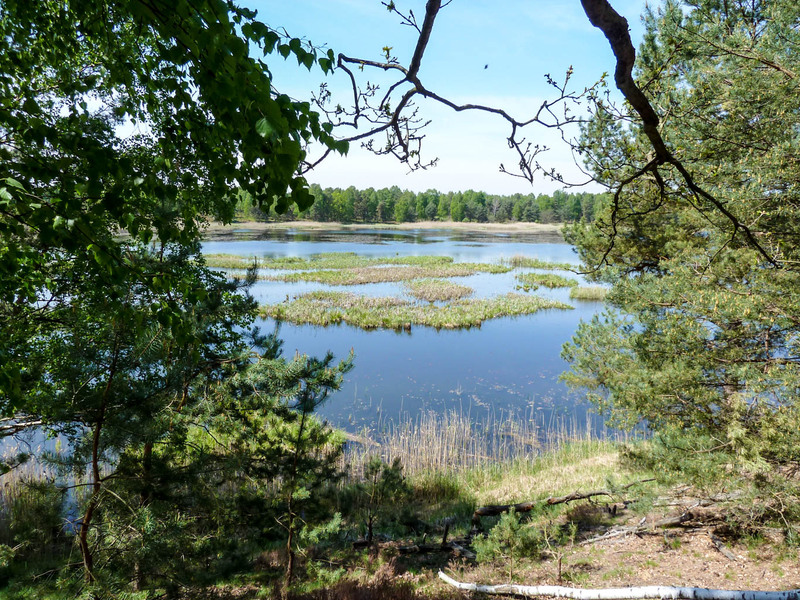 “Lieberose” offers a variety of valuable forest- and wetland-biotopes as bogs and clear water lakes together with heathlands and large sandy areas. The area is habitat for plenty of species with impressing representatives such as Grey Wolf, European otter, beaver and white-tailed Eagle. “Tangersdorf” is the smallest of the foundation grounds but is embedded in an even bigger nature reserve and former military training area with a total area of 6,000 hectares. An impressing particularity is the beaver-built 150 hectares area of swamps and lakes in its surroundings. Hi Gail, thank you for your interest in our work. I just returned from the western Ukraine and they have some if the best protected wilderness there. Thousands of hectars of primeval beech forests, but the saw mills financed from the west are already standing by. 17 mio hectars of agricultural land is already under control of foreign agricultural conglomerates, most of them backed by US Investment firms. As I’m catching on my reading through a large stack of selected magazines I subscribe to, I just finished reading an article in one of my old Sierra Club issues………….the article tells of what your organization, plus a couple other environmental organizations throughout Europe, are doing towards restoring wildness to various European countries. I have not even known this was happening – the closest I’ve heard, is of the U.S.’s Archangel Ancient Tree Archive’s group working with a few European countries to restore some of the long-gone / dangerously dwindling old-growth forests in Britain, Ireland, Germany, and a couple other countries I many have forgotten. I LOVE the color photos !……..and I definitely SUPPORT your work !